Whether it’s the first Rolex you’ll ever own, perhaps a Day Date, or maybe a Yacht-Master that you’ll be adding to the collection, there is nothing quite like the feeling of purchasing a Rolex. The legendary watch company is a globally recognized status symbol that is built on quality, craftsmanship, and innovation—priceless attributes that have made Rolex one of the world’s most well-respected companies. Not only is a Rolex one of the finest and most precise watches you could own, but it’s also a timepiece that celebrates the success and accomplishments in your life. And just like fine art, a Rolex will always steadily increase in value over time, making it a wise financial investment as well. Despite the long list of reasons to own a Rolex, they certainly carry a hefty price tag, so finding the best deal is very important. WatchesAndWatches.com specializes in maintaining a vast inventory of Rolex watches at prices that are among the lowest in the industry. In this article, our watch experts offer our favorite Rolexes under $10,000, giving you an exclusive rundown of unbelievable deals on some extremely rare and one-of-a-kind Rolex watches. Originally designed to match the Pan-Am Airlines uniforms, today the GMT-Master Ref. 16700 has grown to become one of the most mythical designs among Rolex fans and collectors. This is largely due to its unique “Pepsi” bezel with red and blue inserts that is immediately recognizable. Outfitted with an elegant black dial and stainless-steel Oyster band, this GMT-Master has a reputation and story like no other, making it a highly-sought after model. With an unbelievably low price tag of $9,650 (you save nearly 70%), you don’t need to think twice on this Rolex. This next Rolex is a truly special piece with one-of-a-kind features that you won’t see on any other Rolex watches. First and foremost, this includes an ice-blue dial that will bedazzle your wrist like no other. Silver Roman numeral hour markers decorate the dial and a fluted bezel adds the perfect finishing touch to make this a flawless design that belongs in your collection. The best part? 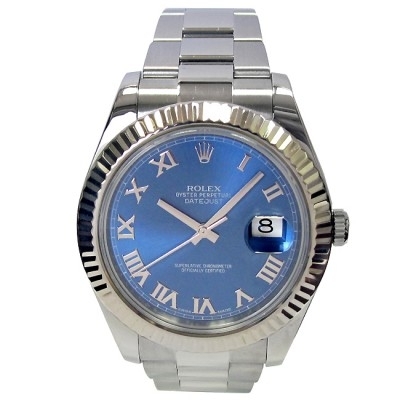 You can own this sleek Rolex Datejust II for 15% off its regular price, saving you more than a thousand dollars! 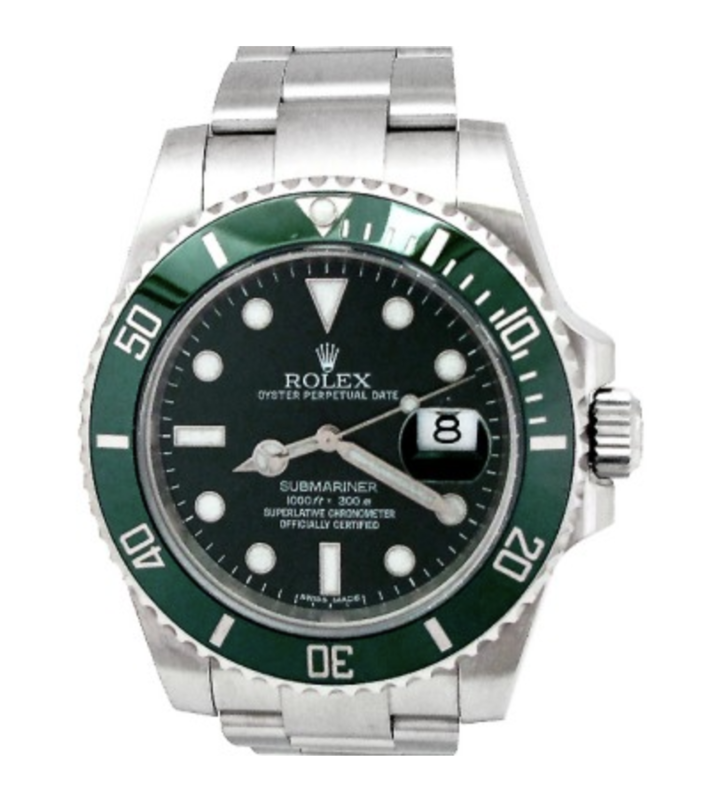 To celebrate the 50th anniversary of the timeless Submariner, Rolex designed the Submariner Ref. 116610LV, a spectacular special-edition watch that boasts the Submariner’s long-respected functionality along with an undoubtedly sophisticated and tasteful design. The commemorative watch is outfitted with a rich green bezel and dial combination that are exclusive to this Rolex. This Submariner can be yours for $8,650, a deal of a lifetime for one of the rarest Rolex watches available today. 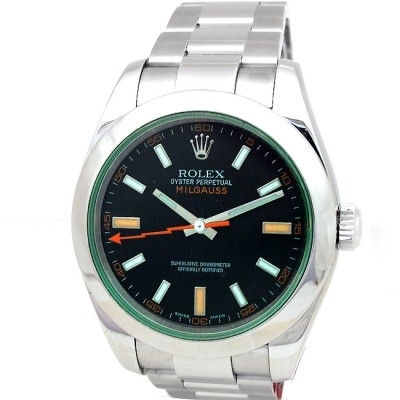 To round out our picks, we chose this impeccable Rolex Milgauss, deemed the Rolex collector’s favorite Rolex. In addition to being one of the first models that demonstrated Rolex’s relentless pursuit of innovation when it was first introduced, the Milgauss also has an array of subtle design features that have made it famous. This includes the green sapphire crystal that creates the illusion of a green ring around the edge of the dial, as well as its iconic orange lightning bolt seconds hand. Don’t miss your opportunity to own this phenomenal Rolex at a price you won’t find anywhere else, WatchesAndWatches.com offers this watch at $7,300, nearly a thousand dollars below competitors’ prices.